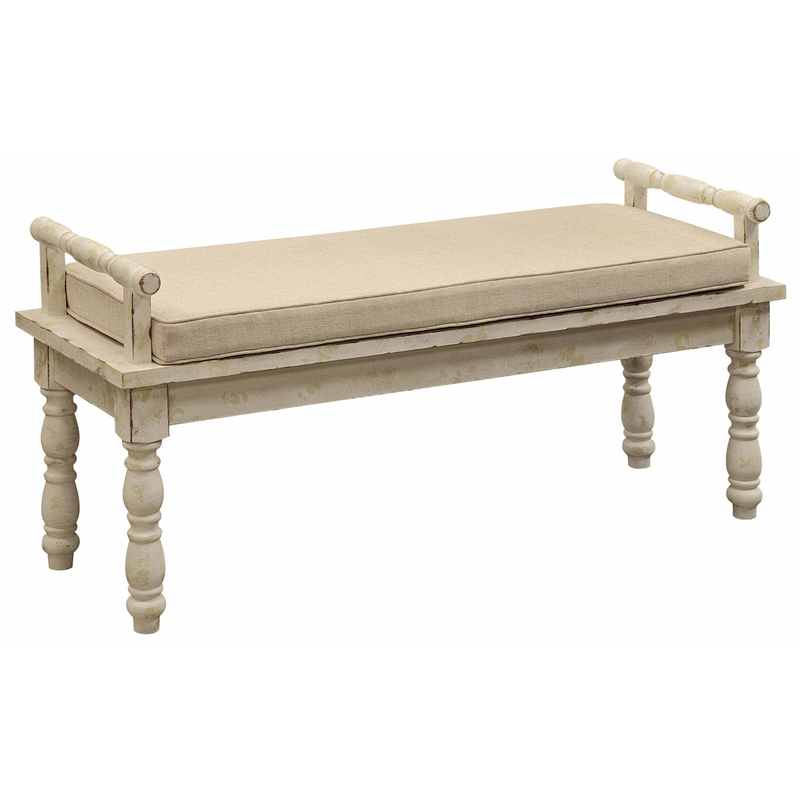 The Cottage Bench adds coastal style to your home with classic baluster legs and a cushioned top. Ships from the manufacturer. Allow 1-2 weeks. Cannot express ship this beach style furniture. For further items, we invite you to take a moment to shop our extensive selection of beach style benches at Bella Coastal Decor today.